Home » Life Coaching Blog » Does Size Matter? Well it doesn’t, and yet it does. Choose then the size of your audience. 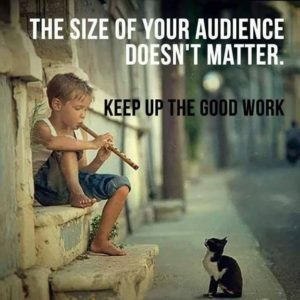 And always, keep up the good work, regardless the size of the audience!